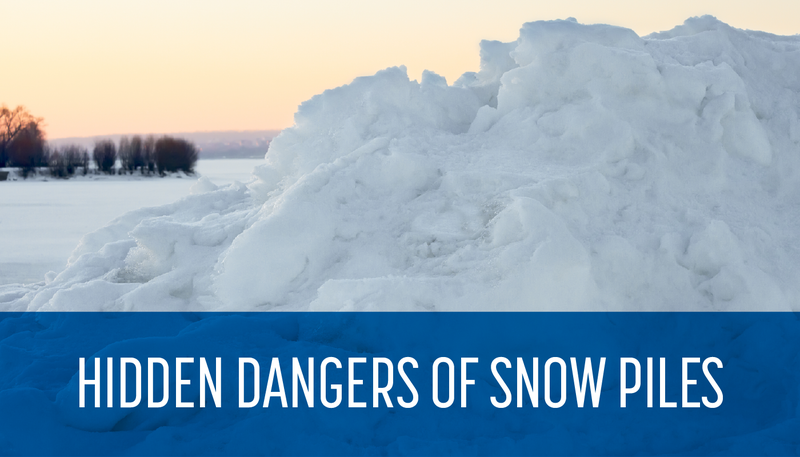 EVER WONDERED HOW DANGEROUS A SNOW PILE CAN BE? Snow piles for most of us mean frigid conditions, bundling up, brushing snow off cars and trudging through ice, slush and several inches of snow. However, it also presents hidden dangers that can cause injury and claims lives every year. From children playing in or near snow piles, refreezing and where exactly piles are located, there are hidden dangers you should be aware of and precautions that can be taken to help keep you and your children stay safe during winter weather conditions.